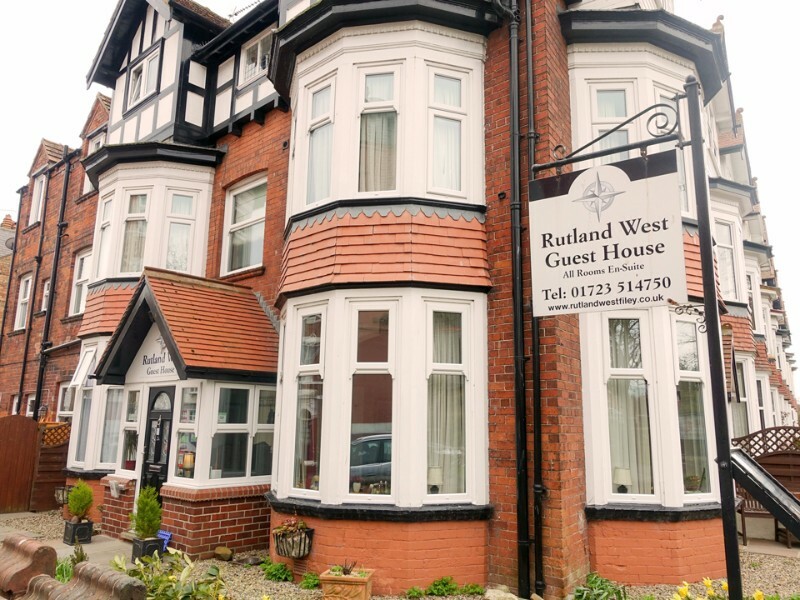 The Rutland West is so called because it is on the corner of Rutland Street and West Avenue so the very first attraction of this place is how easy it is to find! The attraction doesn’t stop there though; the proprietors Chris and Debbie Lawrence are very welcoming and friendly and the property is well situated betwixt the town and the beach. The five guest rooms are appointed to a luxurious standard, all are en-suite and include one positioned on the fround floor. All the rooms have Televisions, a DVD player, radio, hairdryer, alarm clock, complimentary toiletries and a hospitality tray which is a good notch up from the norm! Free Wi-Fi and parking for bicycles.